For this recipe, you will need to make the Basic Alfredo Recipe I posted last week. This is a great make ahead recipe I like to make when I’m creating a batch of recipes for the week. Cook Basic Alfredo Recipe per directions. 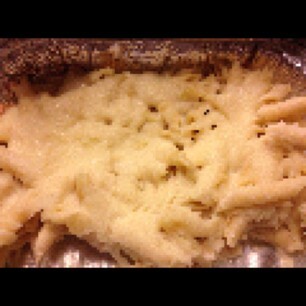 Add drained pasta and Basic Alfredo Recipe together in a greased 9.5" x 11" baking dish. I’m so glad I found you (and this). I’m a vegetarian, and I’ve been trying to find easy 30 min and under recipes that even my nonvegetarian friends and family will enjoy!